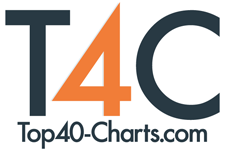 New York, NY (Top40 Charts) BreakingHITS® was designed for the industry by the industry to open up a new unsaturated channel of communication between artists, influencers and fans so they can interact in an engaging and meaningful way. BreakingHITS® Inc., today announced the launch of its exclusive, revolutionary music app and rating platform called BreakingHITS®. This new mobile app offers emerging and established music artists an innovative, yet traditional way to engage meaningfully with audiences, influencers and fans. BreakingHITS® is also a dynamic research tool for producers, music executives, brands and radio outlets, providing them with consumer feedback in real-time. Not only does it give artists a new way to engage directly with listeners and build a personal connection to their brand, it also gives consumers a first-ever opportunity to literally become bonafide music critics and influencers - even allowing them to track their predictions. Record labels like RED Music, (a division of Sony Music Entertainment) are already seeing positive results from integrating the app into their campaigns and marketing plans. BreakingHITS® is proving itself to be an effective way to connect directly with influential music fans and get their feedback on new music. Artists like Cab, J. Balvin - Just Wanna Love You (Red Music), Coca Vango - Sauce On Me (HitCo), Lightskinnedkeisha - Ride Good (HitCo), Normani - Wave (Republic), Mike Will Made-It ft. Pharrell & Kendrick Lamar - The Mantra (Interscope), Swizz Beats x French Montana - Swizz Montana (Epic) and Ali Caldwell - Colors (2Maro Music / The Orchard / Sony) have debuted tracks on the platform. Richard Nash, Red Music, SVP Promotions notes, "BreakingHITS® is going to be a game changer in 2019! It is absolutely a necessary tool for signed and unsigned artists in the music biz. This application has the potential to bring the consumer and artist closer together in how new music is released worldwide." Radio stations now have a communication channel to connect with listeners by providing them with a platform to give feedback on new music. In the past, radio stations would get casual, sporadic feedback by phone and social media. The app provides measurable data. Long Island, New York's Party 105, (WPTY-FM), is partnering with BreakingHITS® by embedding the app in their website and have their listeners' rate new music and get a chance to win concert tickets and other cool giveaways. Party 105, Program Director Just Joe commented: "BreakingHITS® has provided us with a way to gauge the interests of our local listeners. Before this app we did not have this insight from our community"
An artist, manager or label will sign-up and share either new, unreleased or unfinished music with the BreakingHITS® community to be anonymously rated. At any time, the artist or label can get a report with measurable feedback. The app provides them with real data on different aspects of the music such as how many people liked the song, how many did not, what the average rating was and they can even see exactly what the comments were on different aspects of the song. This is equivalent to having a turnkey focus group in real-time. The service is currently in its open beta mode and its base version is offered free to all music influencers and independent artist. Users are notified when there is a new song that they then listen to and vote whether it's a "Hit" or "Miss". Virtually every genre is represented. Users can choose which ones to follow - Pop, Dance, Hip-Hop, Latin, EDM, Rock, Country and Folk. With the BreakingHITS® app, users can easily discover new music and rate their favorite songs and artists, voicing what is a hit or miss. They earn points as they engage in the platform by rating songs, commenting, and/or messaging artist(s) directly. They can also message and coordinate meet-ups with other influencers on the app. Points can be accrued to be used at a later date for purchasing exclusive BreakingHITS® and artist(s) swag, concert tickets, and affiliate brand merchandise. The app keeps track of the users' ratings. As the music they spotlight become hits, the app will reward them with an exclusive badge and points that they accrue over time. The music app was designed by seasoned music industry professionals and is connected to a network of influential media professionals in the U.S.
BreakingHITS® CEO, Neil Collins noted: "BreakingHITS® was designed for the industry by the industry to open up a new unsaturated channel of communication between artists, influencers and fans so they can interact in an engaging and meaningful way. It provides a platform for talent at every stage of their career. For new artists, it can help get them discovered and for established artists working on new music, they can get real-time feedback and potential collaborations with other artist(s). Artists can use BreakingHITS® to better identify and engage a dedicated audience while creating a direct line of distribution to consumers and establishing a personal connection." The BreakingHITS app is available now on iOS and Android. Serving the music world, the company is based in New York City. Through its mobile app with the same name, BreakingHITS® aims to be the leading influencer community, providing a voice, personal connection and opportunity for consumers to support, artists and brands that bring digital to live locally and globally.